Mark DeWitt, a researcher with UC Berkeley’s Innovative Genomics Initiative and first author of the new paper, explains the significance of the advance. The results were reported in today's (Oct. 12) issue of the online journal Science Translational Medicine. 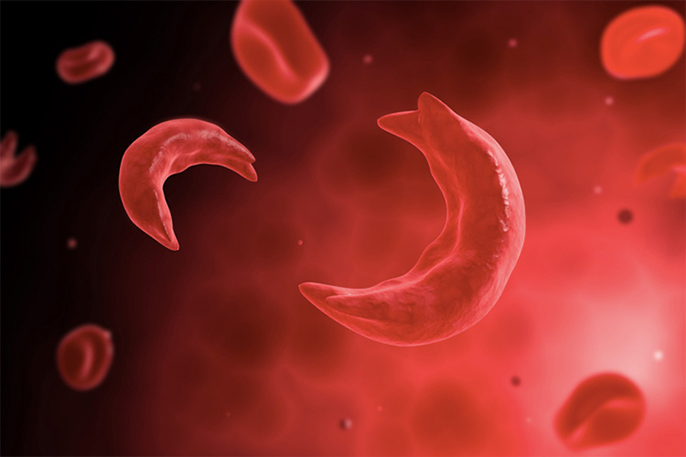 The shape of sickled blood cells causes them to get stuck in vessels and block the flow of blood, which can result in pain and infections in those with sickle cell disease. In addition to Corn, Walters and Carroll, other co-authors are Mark DeWitt, Nicolas Bray, Tianjiao Wang and Therese Mitros of UC Berkeley; Wendy Magis, Seok-Jin Heo, Denise Muñoz, Dario Boffelli and David Martin of CHORI; Jennifer Berman of Bio-Rad Laboratories in Pleasanton; and Fabrizia Urbinati and Donald Kohn of UCLA.